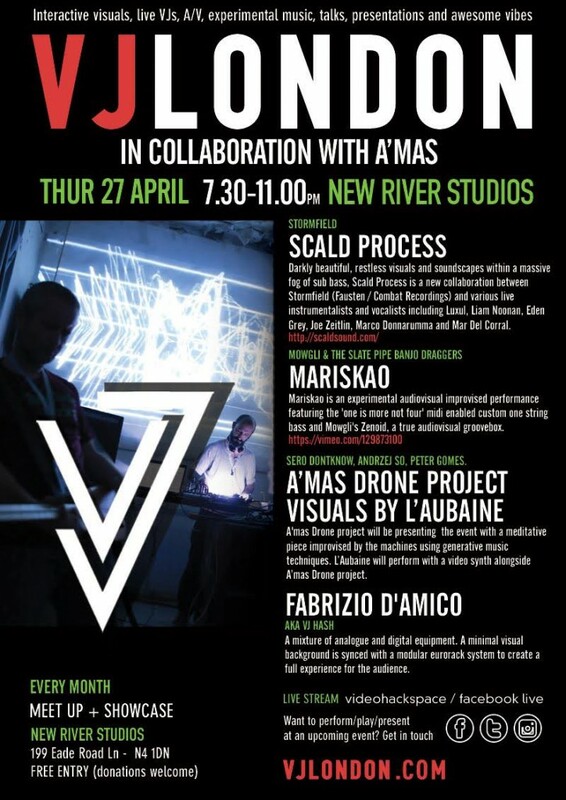 For the April Meet-up & Showcase, VJ London is inviting the residents from A’mas for a showcase with high quality musicians. A’mas is a musical instrument live jam performance featuring a group of local and international artists (and friends) each month. Darkly beautiful, restless visuals and soundscapes within a massive fog of sub bass, Scald Process is a new collaboration between Stormfield (Fausten / Combat Recordings) and various live instrumentalists and vocalists including Luxul, Liam Noonan, Eden Grey, Joe Zeitlin, Marco Donnarumma and Mar Del Corral. Mariskao is an experimental audiovisual improvised performance featuring the ‘one is more not four’ midi enabled custom one string bass and Mowgli’s Zenoid, a true audiovisual groovebox. A’mas Drone project will be presenting the event with a meditative piece improvised by the machines using generative music techniques. A mixture of analogue and digital equipment. 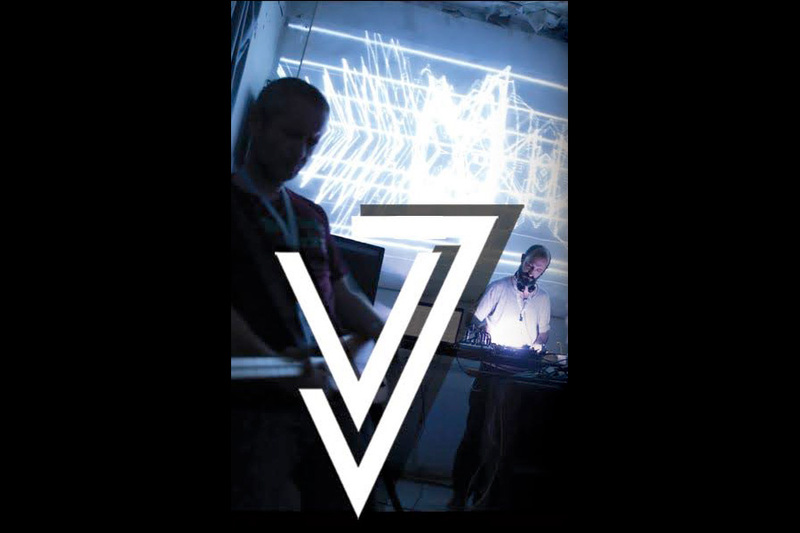 A minimal visual background is synced with a modular eurorack system to create a full experience for the audience.